"If only I knew what I need to say in this letter..."
At times like these, access to an assortment of templates for letter writing and for other official documents is a godsend. Software for letter writing helps you be more efficient in your writing, and to ensure that what you write is relevant for the purpose. WhiteSmoke Writer is a complete document and letter writing software solution. Featuring hundreds of letter and document templates, you will never be stuck for words again. A high quality template solution could mean all the difference between a text that works and one that doesn't achieve your goals. 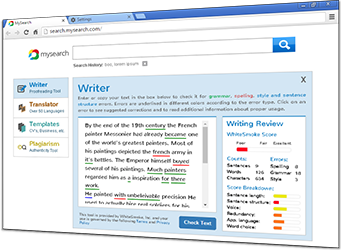 Template Access Everywhere — WhiteSmoke Writer works with any text-based application. So, if you need a letter or document in your favorite online or desktop software, it is seconds away with Writer. Quality is the Key — Hundreds of high quality letter and document templates are on call, ready for integration with your own writing. Results in Seconds — Simply press the WhiteSmoke Key, and within seconds, your letter writing software is ready to go. WhiteSmoke Writer is much more than a software solution for letters and documents. 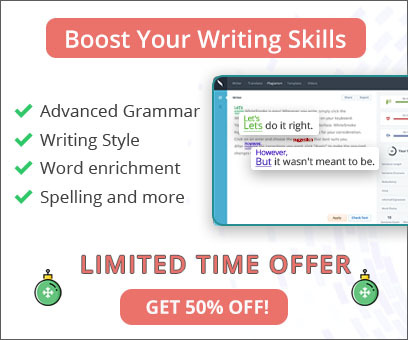 It is in fact an all-in-one solution for anyone writing in English, with a focus on correcting and enhancing your writing.